We are so lucky in Nursery to have some new arrivals to care for! 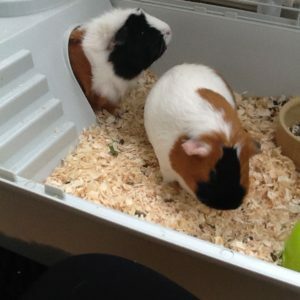 Daisy and Lilly are two guinea pigs ; the spikey one with the white nose is Daisy and the smooth one with a black nose is Lilly. 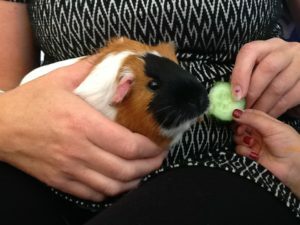 They love to eat carrots, cucumber and spinach, and they have to drink lots of water. 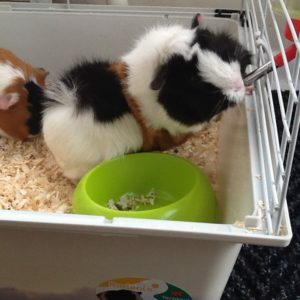 They are intelligent lady guinea pigs, and are actually sisters. 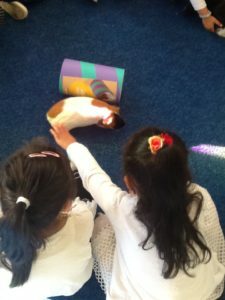 Guinea Pigs love to live with another guinea pig for company. They are friendly although Lilly likes cuddles more than daisy does!